For many Golden residents and visitors strolling through the Golden Fine Arts Festival is a highlight of summer. After all, the event is of the region’s most prestigious juried art shows, attracting more than 35,000 people over the course of this two-day event. This festival offers our community and visitors a comfortable and scenic location and provides the opportunity to visit with artists, walk along Clear Creek and browse the quality artwork while enjoying a relaxed summer weekend. The event is held in a gorgeous setting adjacent to Clear Creek in historic downtown Golden. 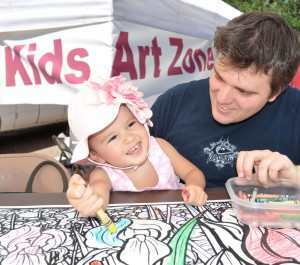 Presented by the Golden Chamber of Commerce, the Arts Festival is open from 10 a.m. to 5 p.m. and admission is free. The juried show represents the works of more than 130 talented and respected artists in various media, including ceramic arts, fiber arts, glass, jewelry, mixed media, painting, photography, sculpture and 2D. The festival includes food booths & trucks, live music, MillerCoors domestic and craft beers, and a wine booth. Plus there will be free face painting for kids. You Gotta Have Art, but the Arts Festival Has Much More! The Golden Farmer’s Market, which will be staged across Clear Creek in the parking lot of the Golden Library on Saturday Aug. 19 and is open from 8 a.m. to 1 p.m. 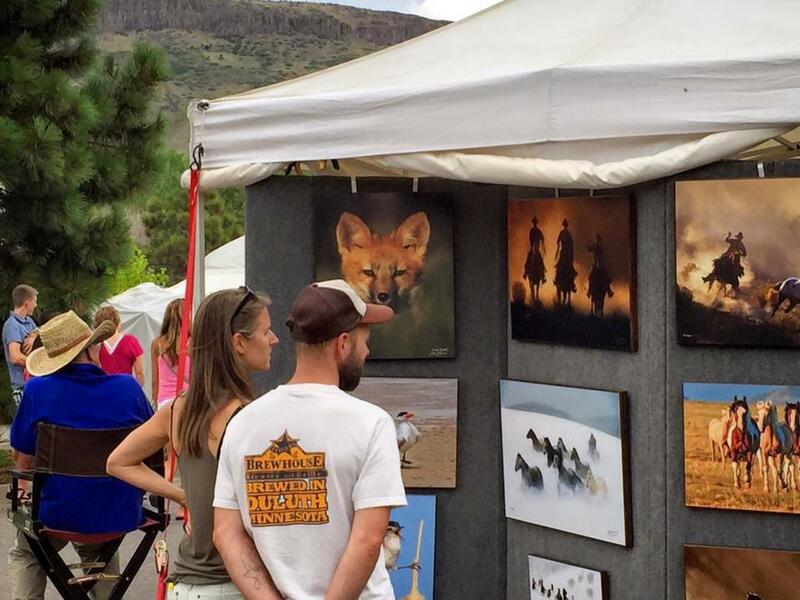 The outdoor Golden Fine Arts Festival is staged along 11th Street between Arapahoe and Maple and offers wonderful views of North and South Table Mountain, Lookout Mountain, and Clear Creek. Visitors are encouraged to stroll through Historic Downtown Golden and also experience this wonderful pedestrian area filled with shops, galleries, craft breweries, restaurants, outdoor cafes, museums and outdoor recreation stores. The paved bike and hiking trail along Clear Creek offers some of the most beautiful riverside settings on the Front Range, while the creek is filled with water activities including kayaking and tubing. Why not also check out one of Denver’s top 10 free tourist activities with a free tour of the Coors Brewery, the world’s largest single site brewery? Visitors aged 21 and over can also enjoy free samples. Also nearby are free hiking trails at Red Rocks Amphitheatre, Lookout Mountain, North and South Table Mountains, Mount Galbraith and the Mathews Winters trail. The Jefferson County Nature Center on top of Lookout Mountain has free exhibits on the wildlife to be found in the area. The Colorado School of Mines Geology Museum is also free and open daily. Also, great activities for the family include a visit to the Colorado Railroad Museum, American Mountaineering Museum, the Foothills Arts Center, the Rocky Mountain Quilt Museum and Buffalo Bill’s Grave & Museum, which are all right in downtown Golden or nearby. Make a day of it in Golden! For more information on the Golden Fine Arts Festival, go to www.goldenfineartsfestival.org and for information on the many fun things to do and see in Golden, go to visitgolden.com.